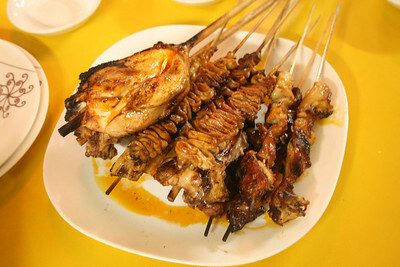 First of all, I am not really a fan of chicken inasal. 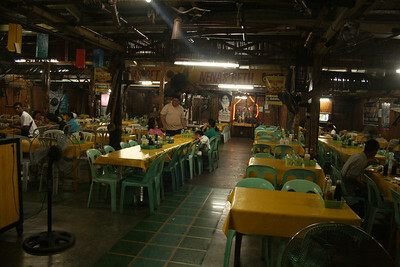 That being said, our dinner at Nena's Beth at Manokan Country was THE BEST MEAL EVER that we had in Bacolod. 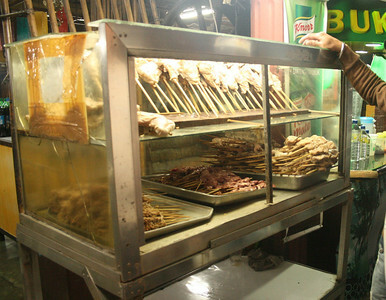 It was one that I have yet to experience here in Manila, one I wish they can replicate perfectly here. 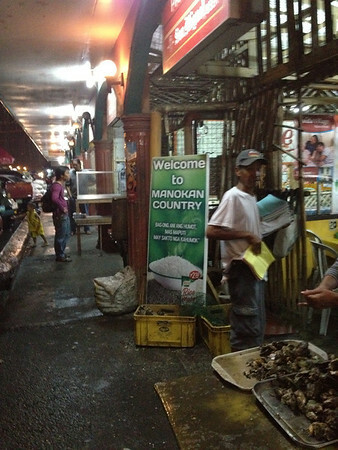 Manokan Country is just near SM Bacolod, further down the street where you see Andok's at the corner. If you're walking from the San Sebastian Cathedral, SM will be to your left and Andok's to your right. 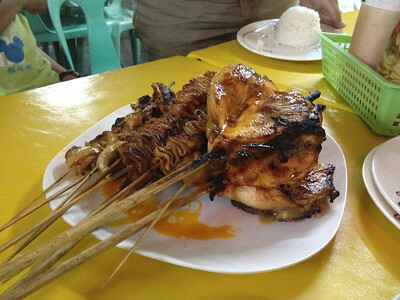 It's Dampa-style where you pick chicken parts outside and have it cooked by your restaurant of choice. 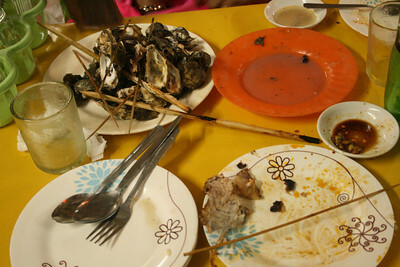 And the restaurants can really only offer chicken inasal/parts, rice, beer, softdrinks/juice/water and oysters. You can't get broth, veggies, whatever else here. I guess you could say they chose not to tamper with perfection. 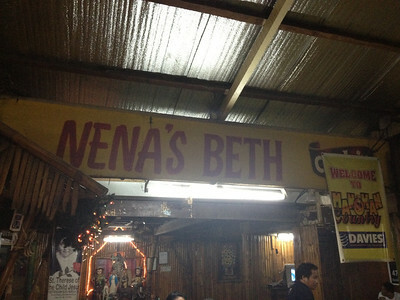 We asked a guard from SM which one is the best at Manokan Country and he recommended Nena's Beth. Sure enough, it was the biggest and would be full by dinner time (we were here at 5:30 pm I think), unlike the other restos without customers. 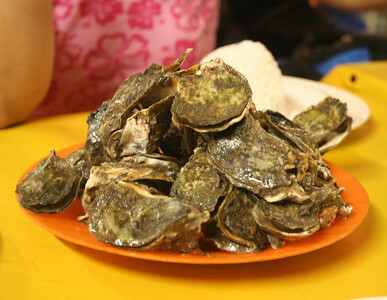 We tried resisting and resisting and resisting, but P60 for this plate of really fresh oysters... there's no defense against it, really. 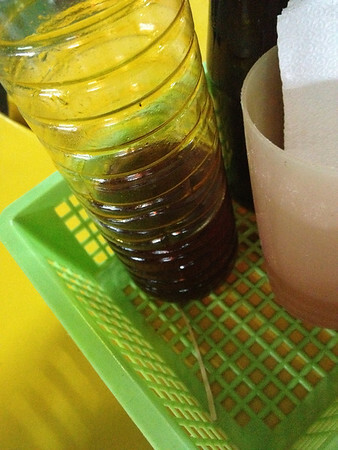 I think we will forever grieve the decision not to buy a bottle of this special oil (P200/bottle)... you mix this with vinegar and soy sauce (for dipping sauce) to get that unique inasal flavor. I am shamelessly repeating myself, BEST MEAL EVER. Even non-chicken fans should give it a try.